David is a litigation specialist and acts for a wide range of UK and international corporations, public bodies, professional firms and high net worth individuals in a wide variety of commercial dispute forums, including those with an international element. His work includes high value commercial contract disputes, partnership and shareholder disputes, professional negligence, David has acted in several reported cases and has had cases in the Court of Appeal, the House of Lords and the European Court of Justice. David also has a political practice. He acted in the Supreme Court of the United Kingdom in Miller v Secretary of State for Exiting the European Union  UKSC 5 and in the Supreme Court of Kenya in the successful challenge brought by Raila Odinga to the Kenyan Presidential election in 2017. He leads the firm’s Brexit Steering Group and has very recently been advising on the implications of a delay to Brexit beyond 29 March on the UK’s participation in the EU General Election For the European Parliament. 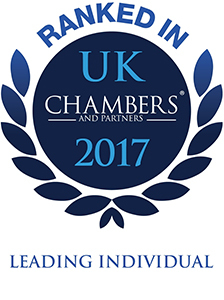 The team David leads won the 2018 Legal Business Commercial Litigation Team of the Year Award. Acted for the former Prime Minster of Kenya in the Supreme Court of Kenya in the successful challenge to the Kenyan Presidential election in 2017. Acted in a challenge to an award of a £1.2 billion government contract. Represented a Chinese property investor in respect of property fraud and professional negligence. Acted for the insurer in a reinsurance dispute concerning a crashed Indian aircraft. Represented a US defence conglomerate in a dispute concerning a design and build contract for an infra-red telescope for use in the Atacama Desert in Chile. Represented the supplier in litigation concerning incorporation of terms into a cross border commercial contract. Represented beneficiaries in a large family trust dispute. Represented a top 10 accountancy firm in a dispute with a retiring partner. Advising pension scheme trustees in relation to changes in pension scheme rules and the liabilities of other professional advisers. David obtained a degree in Law from the University of Wolverhampton. He trained at Hyde Mahon Bridges and qualified in 1994. He moved to Trowers & Hamlins in 1997 and was subsequently a partner and Head of Litigation at Cannings Connolly before joining Wedlake Bell as a partner in November 2012. "David Golten ‘a very able all-round litigator’."